Thank You Wheels & Blades For Your Generous Donation! Wheels & Blades recently helped the WLN Music Boosters by donating four new tires for the flatbed trailer. The donation saved us over $150 in parts and labor and the service we received was excellent! 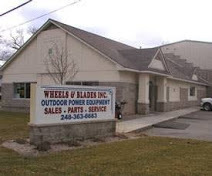 Thanks Wheels & Blades...we appreciate your support!